Protek™ Corners provide protection to the window’s nailing fin and absorb multiple impacts to prevent cracking of the insulated glass unit during shipping and handling. Protek™ corners are manufactured ready-to-use in both fused corners and 4″ blocks, and are universally designed to fit most existing profiles. Just slide them right on! The design of the nailing fin slot provides a snug fit that will allow the corners to remain tightly fastened to the window during the final phase of packaging. Supplied loose in cartons or Gaylords. 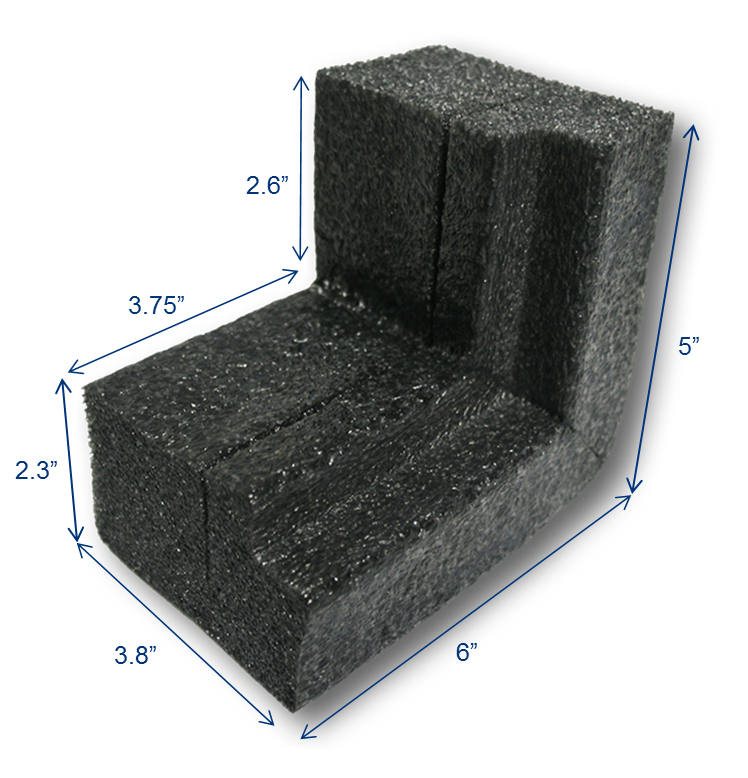 Protek™ corners are made from dark gray, extruded 2.0# polyethylene foam that is flexible, water resistant, non-abrasive, and easy to handle. The foam is both re-usable and recyclable.